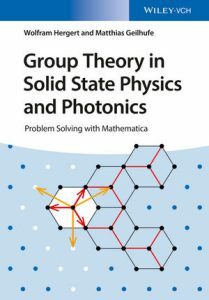 A course on group theory in solid state physics and photonics together with a detailed description on the application of GTPack can be found in our book Group Theory in Solid State Physics and Photonics: Problem Solving with Mathematica. The book contains hands-on examples covering basic group theory to advanced applications. Group Theory in Solid State Physics and Photonics: Problem Solving with Mathematica.